If its rage peaks, it becomes so hot that anything that touches it will instantly go up in flames. | It has a secret, devastating move. It rubs its blazing fur together to cause huge explosions. 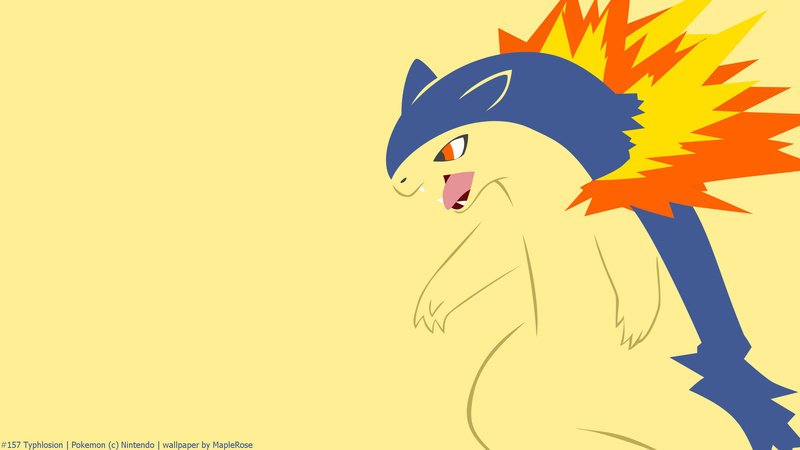 Ah Typhlosion, probably the most popular starter in Gen II, and one of the most popular starters all time. It is the only fully-evolved pure fire type starter. 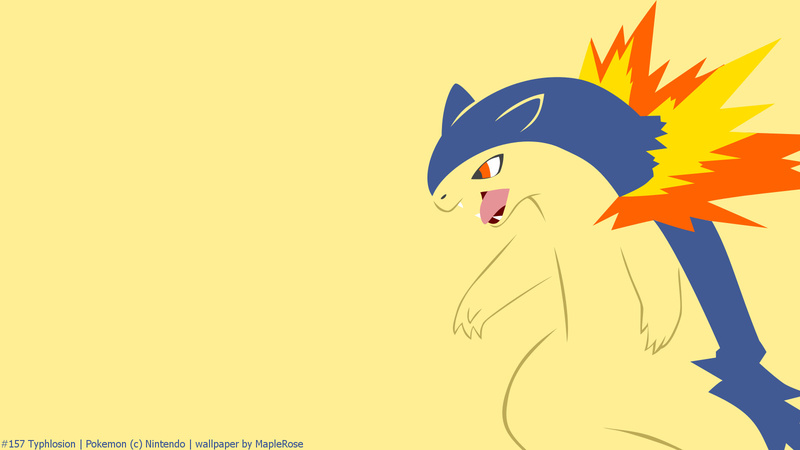 Typhlosion is also the first fully evolved starter Pokemon wallpaper (in the main games) of this blog. Appearance-wise, it looks pretty awesome; the sprites make it look like it’s ready for a fight. It’s not coloured orange, unlike most fire starters, but I love the ring of fire around its neck. And “Typhlosion” is a pretty awesome name. Stat-wise, it’s has pretty high base stat. It has the exact same stat spread as Charizard, lots of Sp Attack and Speed, and the other stats are somewhat even. My Typhlosion’s name is Phoenix, because when I started playing HeartGold, I was obsessed with Phoenix Wright, so I named my starter after him, even though my Typhlosion is female, haha. She has Lax nature and not EV’d, since I played through the game with her. Although after beating the game, I retired her in favour of Charizard. But she still has a special place in my heart. I also named my SoulSilver Typhlosion Phoenix, he’s male this time, also Lax-natured. I played through Johto before retiring him. I still use him in battle tower and such. 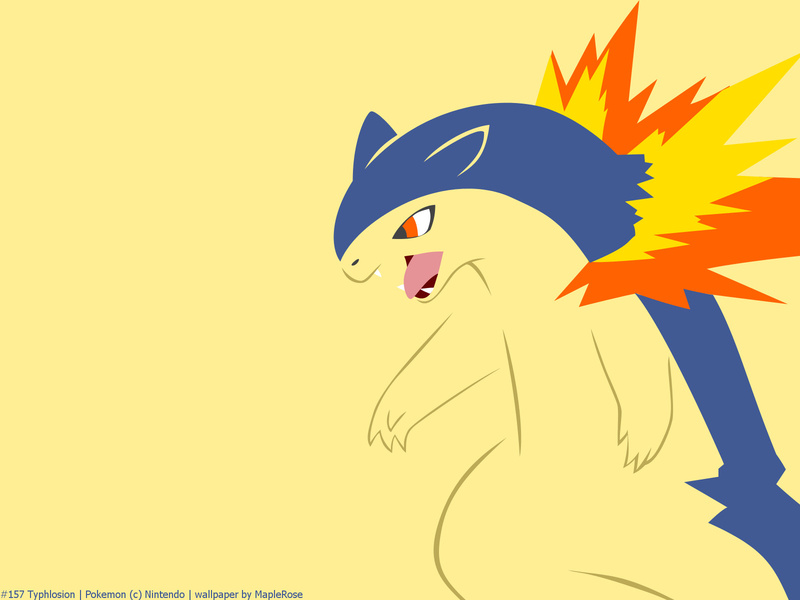 In the anime, Typhlosion never really made a big appearance as “Pokemon of the day”. Ash’s Cyndaquil never evolved into Typhlosion (it’s a Quilava as of now), and Flannery’s grandfather’s Typhlosion is only mentioned briefly. In Pokemon Chronicles, the main character Jimmy has a Typhlosion as his starter, which meant he didn’t need to check his Pokedex about it. Thus the anime doesn’t have an entry for Typhlosion. 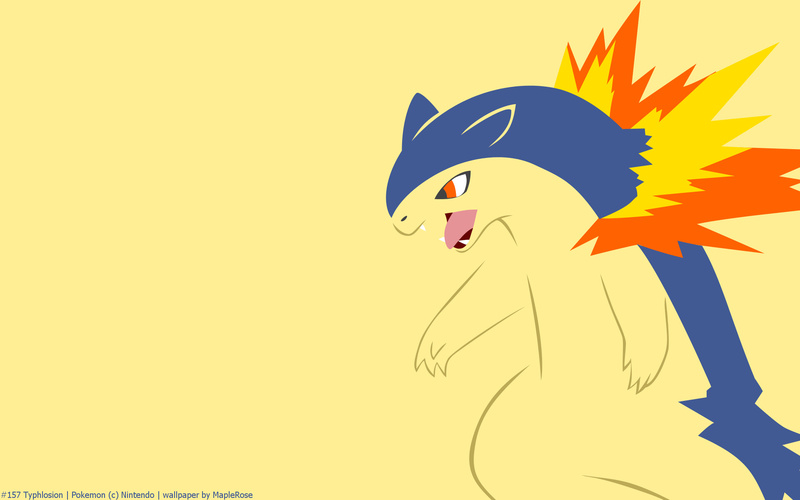 I LOVE TYPHLOSION!!! And you’re a great artist! Now to make Cyndaquil and Quilava!